An utterly rugged design combined with excellent technical characteristics make this model a perfect choice for those who require reliable operation in the toughest conditions. 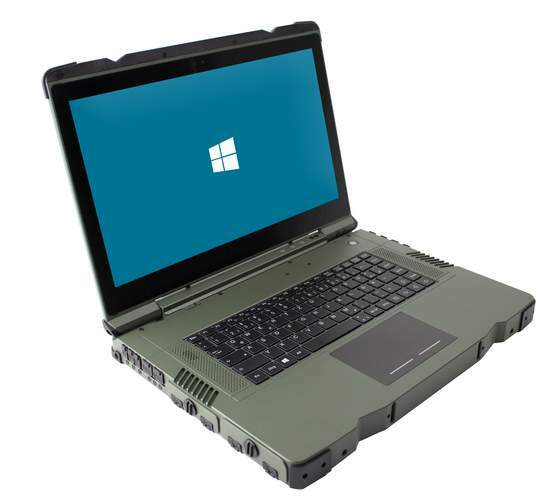 Army, police, factories, oil and gas industry, mining, land and marine vehicles, aircrafts - this is only a short list of where you can find users of this notebook. COM port, 1x DC-In, VGA (RGB), printer port DB25,DVI,Docking Conn.